Spain: National Day celebrations - and push-ups too! 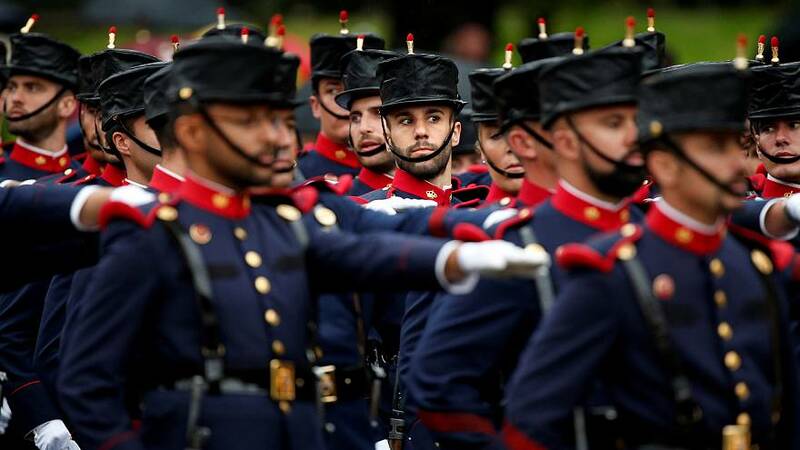 The Royal family turned out on Wednesday – and so did the rain – as Spaniards celebrated their National Day with a traditional military parade through Madrid. With patriotic pride at its height, Spain’s Defence Ministry challenged citizens to do 22 push-ups to honour those who risk their lives for the country amid global efforts to raise awareness of veteran suicide and mental health issues. The results have gone viral on social media.